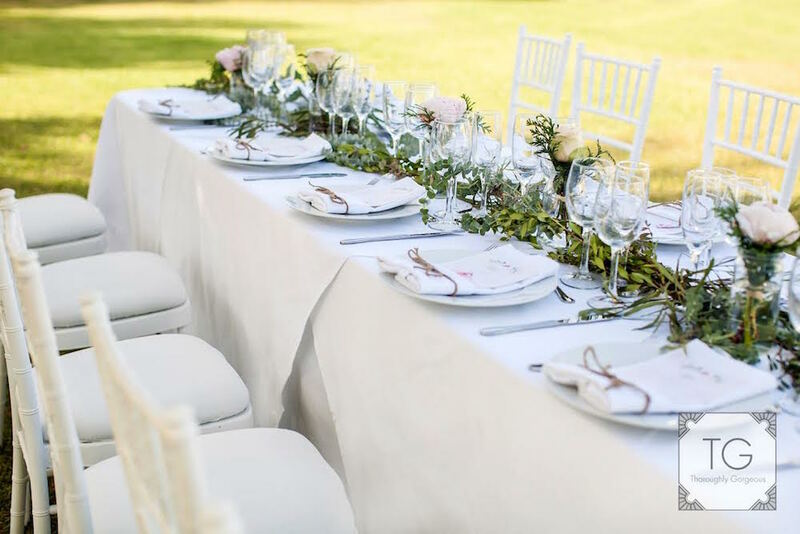 The talented Shona from Bunches Florist tells you everything you need to know about wedding flowers in Spain. I left school in Scotland when I was 16 and started my career as a florist by going straight to work in the family business. I started as an apprentice and worked my way up through the ranks until I eventually became Head Florist. It was during my first year that it become apparent how much I loved working with flowers and enjoyed chatting with the customers. I also realised that I needed to have a recognised, professional qualification if floristry was going to be my career, so I took the City & Guilds course, Floristry and Flower Arranging, which I passed with flying colours. I eventually decided it was time to leave Scotland and head off to tour Europe in a camper van for some fun. I had never intended to settle in Spain but eventually it was a case of going back to Scotland and putting down roots or trying to get a job here. That is when I saw an advert in the local paper about a flower shop opening. I applied for the job, was taken on and so it all started there. One of the first jobs I did – and it was a great experience – was preparing all the flower arrangements for the opening of the Byblos Hotel and that was back in 1986 – more than 30 years ago now! 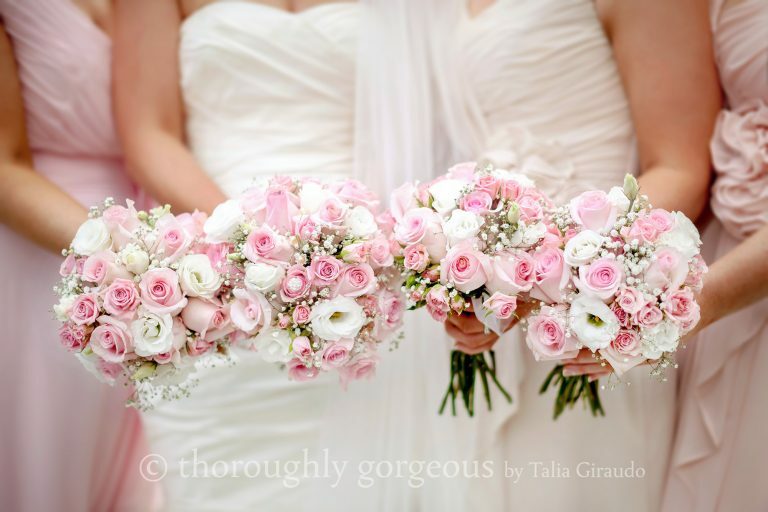 Wedding bouquets and arrangements were a big part of my training. Back then long-line bouquets with each flower wired separately and trailing ivy were very much in vogue. I loved the work and decided that was the area I would like to specialize in. When I first meet the bride and her partner I discuss with them what they have in mind for their special day. I ask a lot of questions: have they chosen a location, a colour or theme? Do they have a favourite flower, or one they particularly don’t like? Once the location and colours are decided, depending on the time of the year, I can start to put together some options. I try to keep the designs in keeping with the location but also within the couple’s budget. It is not always possible, but I do my best. I am not so sure that I have one signature style as, over the years working on weddings and events and working with the brides, my style has developed and evolved. 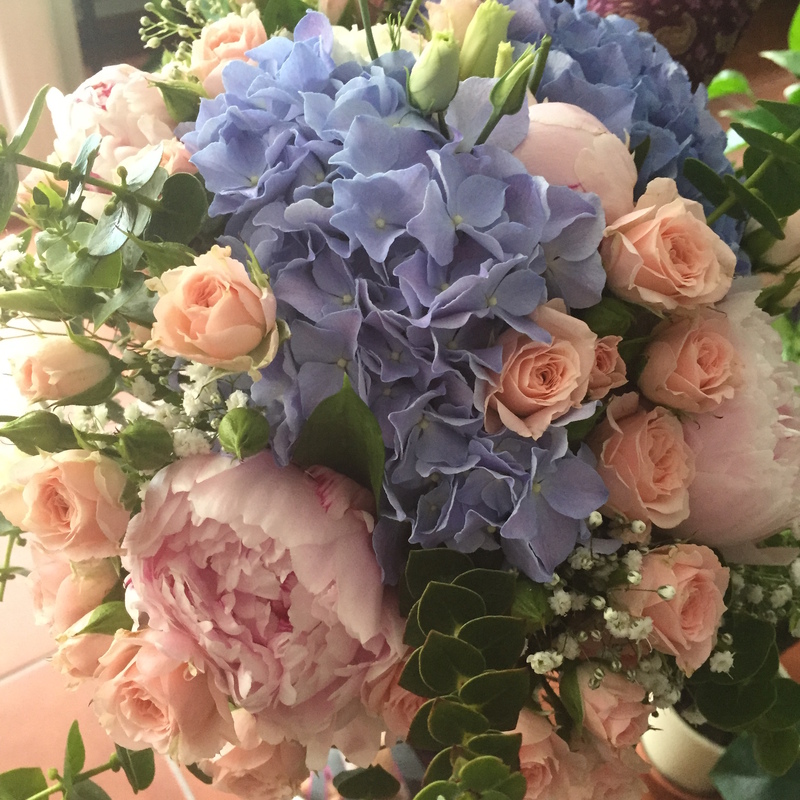 As a trained florist I can adapt and replicate any design the bride or client wants so I suppose my style is that of a chameleon – adaptable to all situations. The majority of flowers that I use are imported, so as soon as they arrive in the shop they are put into the fridge. Then they must be checked, conditioned and prepared. I never know until the order arrives if it is exactly what the bride has asked for or if the colour is slightly different, or the head of the bloom is larger or smaller than ordered. It is why I tend to talk to the brides about tones rather than an exact colour. White, for example, can range from Arctic White almost to off-yellow. Coral can be a very pale salmon to almost a deep orange and blue is the most difficult to get in a natural flower, so the tones run from a pale lavender to virtually purple. 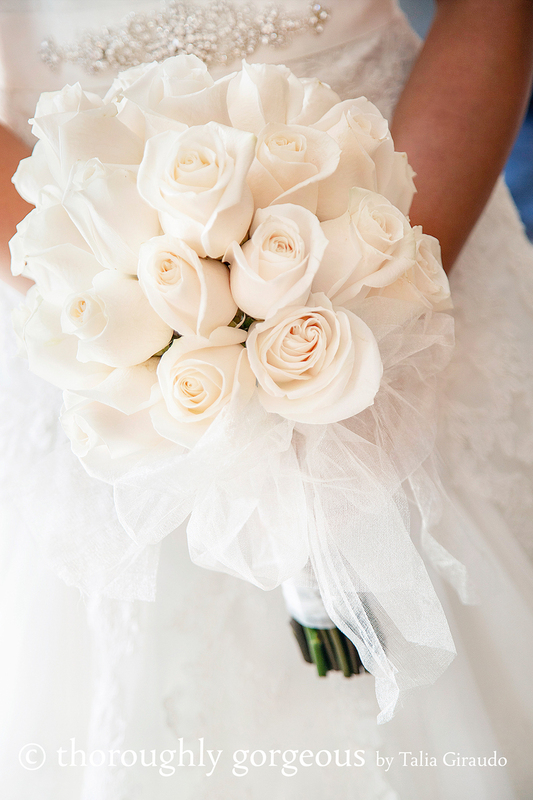 It is upsetting at times when a bride has her heart set on a particular flower, such as the very popular Peony Rose or Tulips, for example and I have to tell her, “Sorry, we just cannot get them in Spain on the date of your wedding”. We can, of course, always import flowers but, and it’s a big but, the price is usually prohibitive and I cannot guarantee they will survive in the heat of summer once made up, so I always advise the bride to choose a flower that is tried and tested. Be open and honest with your florist from the start as to what your budget is. Be flexible and prepare to think outside the box. Not every wedding has to have huge arrangements. We can often reuse ceremony arrangements and incorporate them into the table centres and can sometimes use more cost effective national flowers at certain times of the year. I remember one bride who loved the styling of Kim Kardashian’s wedding table arrangements and wanted to replicate it exactly. Unfortunately, Kim’s florist had an unlimited budget and used masses of white Hydrangeas and Orchids – to replicate it exactly would have cost A LOT. We did, however, manage to replicate the style that the bride was delighted with at a much more reasonable price. As you can imagine, over the years I have built up quite a stock of glassware, candle holders, mirror bases and table centre pieces. If I don’t have something in stock and can source it then I will do. One of my most popular requests is for floral arches, which now come in various shapes and sizes. I also provide fans for guests, which are a lovely keepsake of the day and, in most venues, I can also provide candles for the exterior to add a lovely sparkly touch. So far, the trend this year is simple and chic but with a rustic touch: hand tied unstructured bouquets with table decorations of jam jars and simple flowers and herbs like Eucalyptus, Rosemary, Olive Branches with Lavender and lots of nightlights. It’s funny, but I love different flowers at different times of the year. In spring I love Gerberas because they make me smile, in summer I love the O’Hara Rose which I use a lot instead of Peony, in autumn I find myself drawn to Dianthus and in winter I like to make up bouquets with Eucalyptus, Hipericum berries in white and pink and Baby’s Breath as it makes me think of snowflakes and being outdoors. When choosing your florist, research! Look at past work and past clients’ comments and, if at all possible, meet the florist in her workshop. This way you can see how the flowers are kept in fridges and prepped before the wedding so that you know they will last. 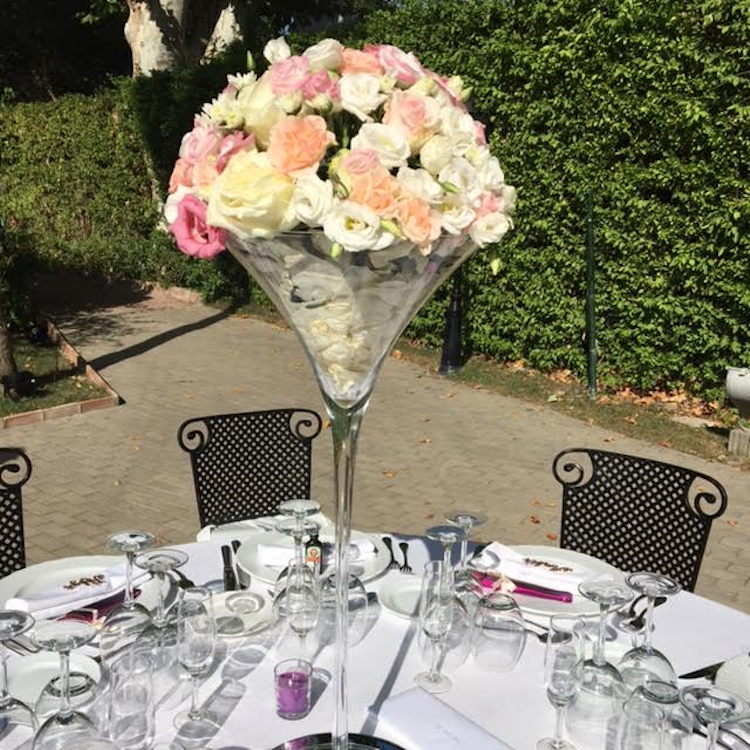 Also, remember it is your wedding and you can choose the flowers, colour and scheme you want, but do listen if the florist advises you against a particular type of flower, particularly here in Spain, if you want them to last the day. What is my career highlight? That’s an interesting question but, to be honest, every time I deliver a bouquet to a bride or a client and see their smile and how happy it makes them and how it is exactly what they had in mind – that’s a big highlight!